the Lion or the Lamb? 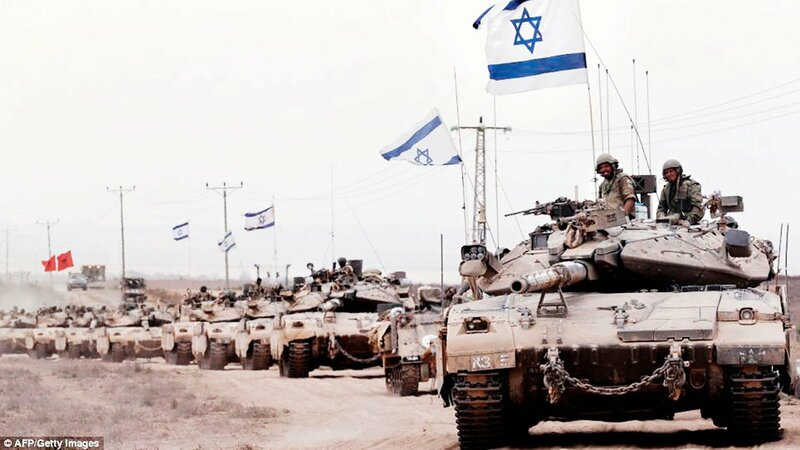 Who shall save Israel? If you follow this blog, you may have recently read my post establishing that Mighty Samson, one of the last judges of ancient Israel, and Ruth, the Moabitess who married Boaz and began the line of David, were very likely contemporaries and did not live far apart. Those non-coincidences raise many questions, the most important of them being, which of these two heroes, brutal Samson or mild Ruth, is more representative of the path to People Israel’s salvation? On May 23, IN OUR HANDS: The Battle for Jerusalem, a Christian Broadcasting Network (CBN) documentary commemorating the 50th anniversary of Israel’s June 1967 war, will appear in movie theaters at 896 locations throughout the United States. “Packed with interviews, archival footage and historic reenactments,” the documentary includes exclusive commentary from CBN CEO Gordon Robertson. According to CBN’s pre-release publicity, the documentary goes beyond simply providing clinical details of the military moves that comprised the battle. We learn from the film that the Israeli paratroopers at Jerusalem included both orthodox and secular Jews working together, one of whom delivered an Arab woman’s baby in the Old City during the battle. “Ordinary husbands, fathers and tradesmen, as temporary soldiers,” were among the many heroes who helped reclaim Jerusalem for Israel. CBN Documentaries produced IN OUR HANDS in conjunction with entertainment content provider, Fathom Events. The Christian Broadcasting Network is a nonprofit organization that provides cable, broadcast, satellite and online programming to approximately 200 countries around the world. Along with affiliated organizations, CBN aims to report the news of the day from an informed Christian perspective and has continued to grow in size and scope as a leading voice in Christian broadcasting, media and communications. To purchase tickets online visit InOurHands1967.com. Click below to watch the full theatrical trailer of IN OUR HANDS. This article originally appeared at KehilaNews.com in substantially the same form and is reprinted here with permission. Time and the vision of several Hebrew prophets have proved Mark Twain only half correct. One hundred and forty-five years after the famous author memorialized Israel’s northern land as a “desolation” I walked the south shore of the Kinneret (Sea of Galilee) with my camera and snapped the confounding photos below. They would certainly have surprised him. Nearly 4 million people visit Israel yearly. This is cause for concern to those who have worked hard to delegitimize the Jewish state. With so many people driving, touring and nosing around the country, hard-won stereotypes are at risk. Current popular thought holds that 13 million Jews (one in every 500 people worldwide, 7 million in Israel) threaten the earth’s remaining 6 billion citizens by controlling money and governments, starting and profiting from wars, bullying Arabs and plotting to rule the world. You don’t have to search hard to find accusations that Israel is Apartheid, Fascism, and Ethnic Cleansing. The current politically correct approach to attacking Israel manages to avoid the charge of antisemitism: one does not oppose Jews, that would be racist, one opposes Jewish settlements. (Even many Jews are comfortable attacking Israel in this light, Noam Chomsky, for example.) And so we are to believe that the greatest threat to world peace today is not Iran’s nuclear program, not thousands of rockets launched in Gaza, not mass murder in Syria, not Egypt’s Muslim Brotherhood’s rise to power, not even Global Jihad, but Israeli apartment building in Judea and Sumeria. Make sense?